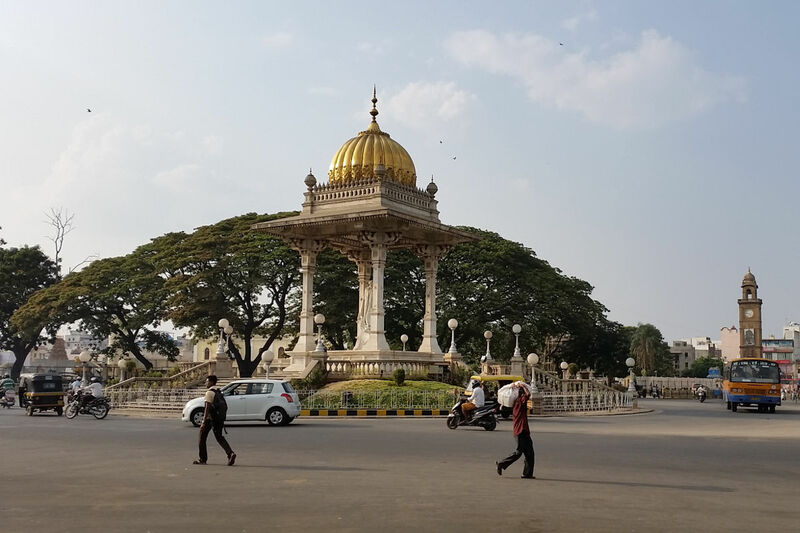 Bangalore and Mysore – a mere 160km between them and yet worlds apart. These were the first cities on my most recent trip to India as I returned to explore more of this incredible country. Both impressed me, but for very different reasons. Bangalore, capital of the Karnataka state, is one of India’s largest cities. With a population close to 12 million (and rising), it’s booming. High rises and glass clad buildings are reaching new heights. The airport too is a swanky, modern facility. Arriving in the early hours of Sunday morning was a surprise blessing – the roads were relatively quiet, making the journey to our inner-city hotel a breeze. It also meant that we were eased into it. On Monday morning, Bangalore’s true image presented itself – traffic grid-locked streets (though still not as chaotic as Delhi). Bangalore is not really a tourist city, but it had a pulse that was infectious. It was clear to see that this was a city at work, ready to take the nation forward. Professionals on scooters jostled past tuk-tuks and cars, on their commute to work. Construction of an overhead metro rail system broke the skyline. Art galleries and other shops lined the base of the towering support pillars. The other side of Bangalore presents itself in its many parks. Walking along the busy MG Road, constantly aware of the traffic, we made our way to a peaceful oasis at Cubbon Park. The shady park borders a few prominent buildings that are worth a look at. 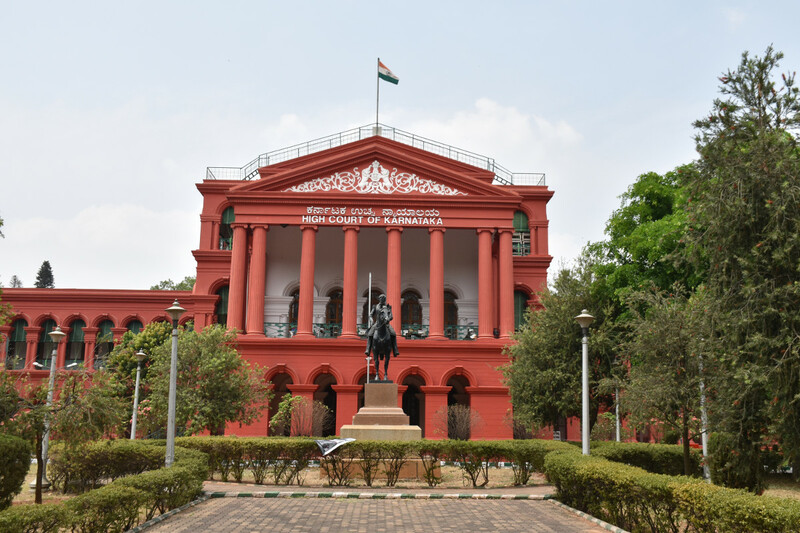 Among them are the stately High Court, the huge Karnataka State Parliament (with its imposing domes and Ashoka lions), and an interesting local museum. 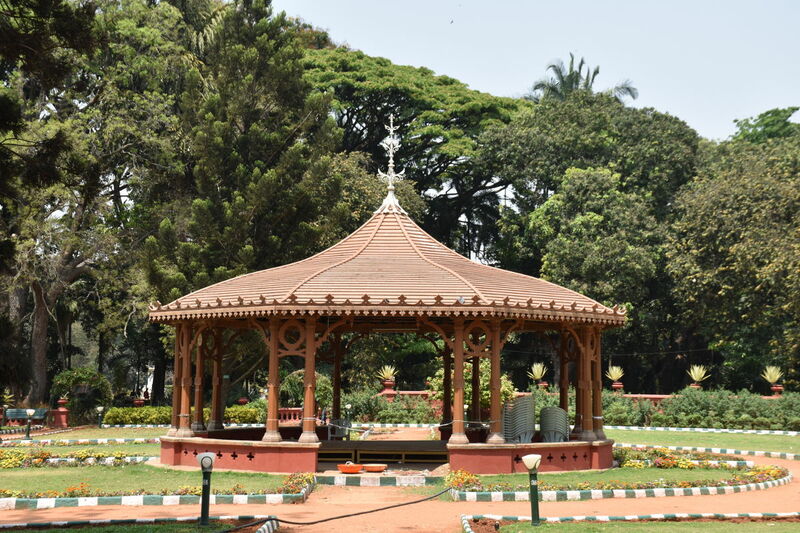 On the other end of the city, the sprawling Lal Bagh Botanical Gardens also make for a refreshing escape. 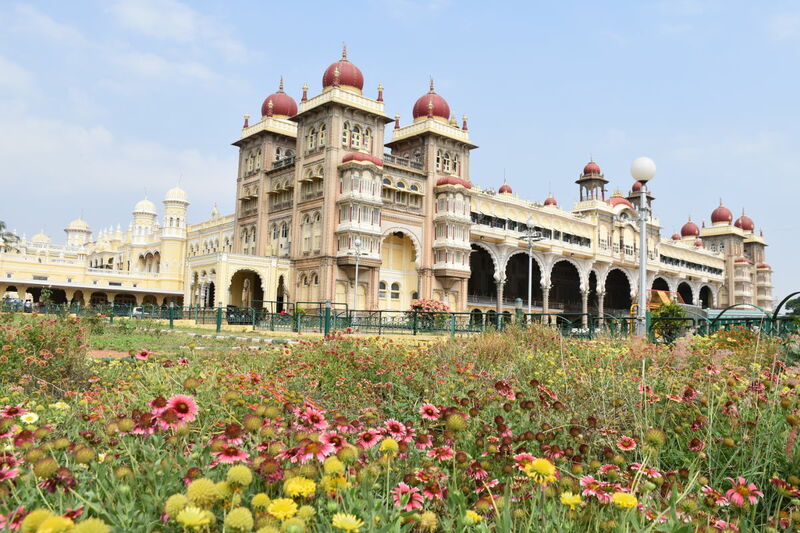 Mysore on the other hand, is far smaller and attracts more tourists. Not dogged by the same traffic woes, getting around town is much easier. Mysore Palace is what put it on the map. The grandiose buildings that make the palace are a harmonious blend of Hindu, Islamic, Rajput and Gothic architectures, referred to as the Indo-Saracenic style. Started in the 14th century, it has been rebuilt a few times, but has been the home of the Wodeyar Dynasty of Maharajas. (The remaining “royals” still reside in a part of the palace.) It’s a pity that photography is not allowed within the palace itself. Light streams through stained glass windows in the vast marriage hall (one of many rooms), supported by elaborately decorated iron pillars. The Wodeyar Maharajahs (tribal kings, and later viceroys of the ruling British), faced resistance, especially for their colonial ties. Most notably was the revolts by neighbouring Sultan Hyder Ali and his son Tipu. Their temporary successes brought about some jewels in Mysore. The summer palace of Tipu Sultan at Srirangapatna (on the outskirts of Mysore) has detailed, large murals depicting the battles against the British forces. Nearby the fort that once stood has been razed by succeeding dynasties, but remnants remain. 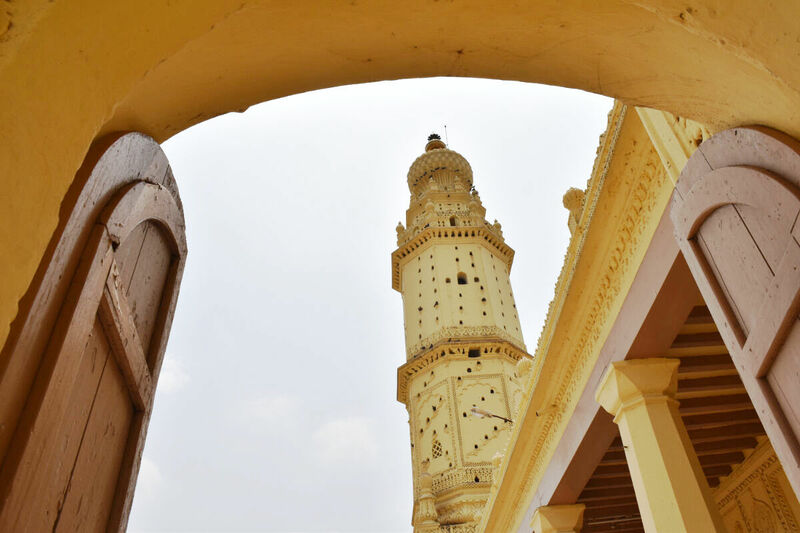 The simple, yet striking minarets of the Jamia Masjid stand tall at the edge of the fort. 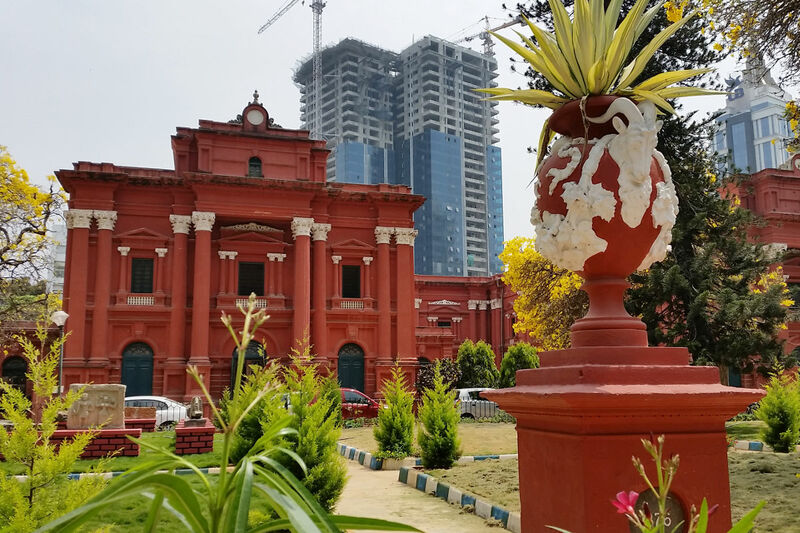 Restoring some of the pre-colonial identity is common place in India – like the city names – now renamed Mysuru (and Bengaluru respectively), although the colonial names still dominate. 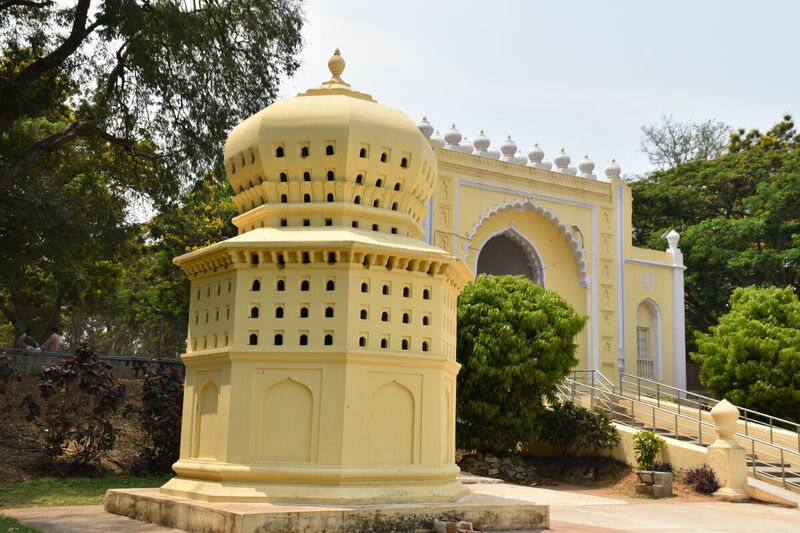 Looking over Mysore is Chamundi Hill, from where you can get a panoramic view of the city. It was a bit hazy when I visited, but it was nevertheless a good vantage point to get an orientation of the city. It’s part of a “national park”, and although there are signs that declare it a plastic free zone, it’s disturbing to see this being ignored. Litter is an unfortunate reality in India, and sometimes I feel that a miracle is needed to change people’s attitudes. 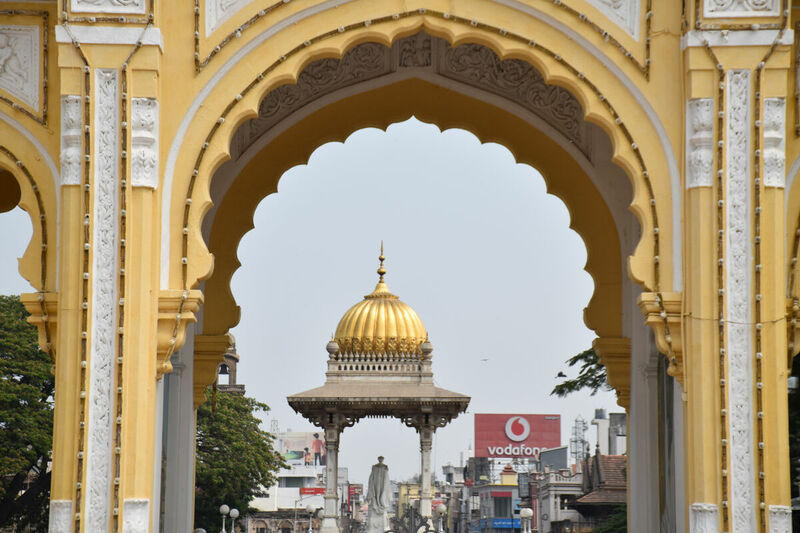 Mysore makes for an interesting cultural visit, and is easily accessible from Bangalore. There’s a lot more to see in the Karnataka state, but my stay there was brief. The main part of this trip to India was the to see the southern state of Kerala (where I am now as I write this blog). Watch out for my next blog posts for a different take on India – a scenic one in Kerala.